Below is just a machine translation from the German of Frank Bosse und Fritz Vahrenholt. I didn't feel like tidying it up as I think the messages get through anyway. They note that 2015 officially was thirteen hundredths of a degree warmer than 2014 and ask why. They make the obvious point that El Nino was a big contributor but what I think is of particular interest is their attack on the retrospective and controversial "adjustments" to ocean temperature by Tom Karl -- adjustments that wiped out the "pause". Bosse and Vahrenholt below use the Argo floats to test the changes. They find that for the period covered by the Argo floats, the "old" temperature statistics match the Argo record better than did Tom Karl's adjusted statistics. Since the Argo floats provide the best ocean temperature record by far, it is clear that Karl's adjustments are not validated. The "old" measurements are the best and the "pause" is back! The 2015 ended with a record: The temperature range GISS recorded +0.87 ° C anomaly compared to the reference period 1951-1981. These were further 0.13° C was observed over the previous year in 2014 globally. They rose strongly on ocean temperatures. A look back at a few months earlier record GISS of May 2015 shows that the global mean temperatures were 2014 then still appear lower by 0.06 ° C than in January 2016. How can that be? In summer 2015, a correction of ocean temperatures was introduced, we had, among other things here reported. The trigger: The measurement methods for detecting the surface temperatures of the oceans (SST Sea Surface Temperature) changed from 1998. Whereas previously the SST determined from ships, often by the water temperature was measured in buckets or the sucked cooling water, you went to later precise measurements over buoys. This transition was, according to the scientists to T. Karl. By NOAA, a negative distortion, which is minimized (for obvious to warm measurements of the past down to the precise measurements of the presence of upward) with corrections This measure was taken very quickly for the global soil temperature series. We want to assess the validity of the corrections by T. Karl shortly. As a reference, we use the most homogenous temperature range that is available for sea surface temperatures: The buoy measurements of the Argo program , which since 2004 provides fairly accurate and closely defined data error. We consider the temperatures of the upper 100m globally and comparing the uncorrected series ERSSTv3b and the realigned series ERSSTv4 (NOAA). 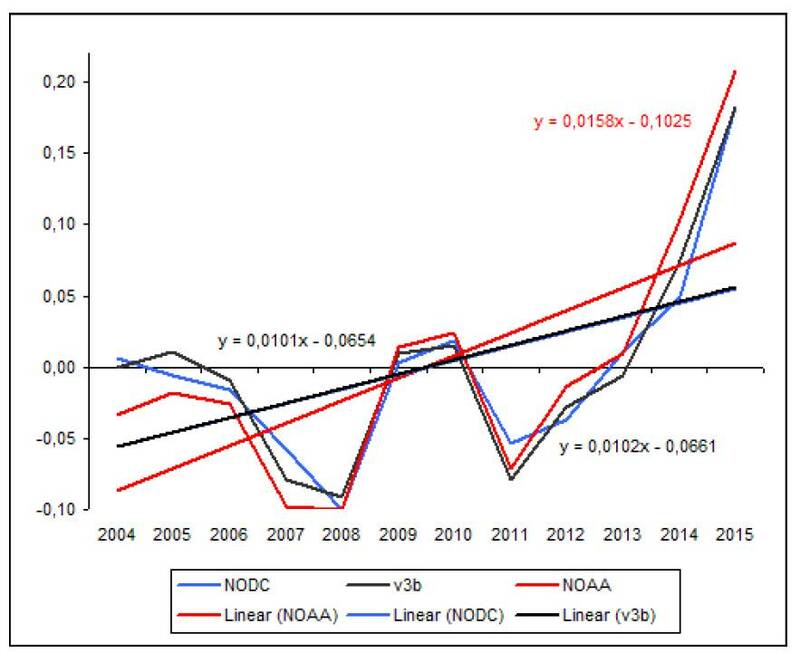 Figure 3: The annual mean SST for ERSSTv3b (v3b- black) and ERSStv4 (NOAA red) and the reference of Argo measurements (NODC- blue) with the resulting linear trend of global SST. Moreover, the satellite measurements of the troposphere show no record increase: both series of measurements, both UAH and RSS, enter 2015 just as the third warmest year since 1979. That the troposphere temperatures rise more slowly than soil temperatures is a state of affairs that does not reproduce the climate models. You expect it the other way around. More than a century from now, on current trends, today’s concentration of CO2 in the air will have doubled. How much warming will that cause? The official prediction, 1.5-4.5 Celsius degrees per CO2 doubling, is proving a substantial exaggeration. Professor William Happer of Princeton, one of the world’s foremost physicists, says computer models of climate rely on the assumption of the CO2’s direct warming effect that is about a factor two higher, owing to incorrect representation of the microphysical interactions of CO2 molecules with other infrared photons. As if that were not bad enough, the official story is that feedbacks triggered by direct warming roughly triple it, causing not 1 but 3 degrees’ warming per CO2 doubling. Here, too, the official story is a significant exaggeration, as Professor Richard Lindzen of MIT, the world’s most knowledgeable climatologist, has demonstrated. The wild exaggerations of both the direct CO2 warming and the supposedly more serious knock-on warming are rooted in an untruth: the falsehood that scientists know enough about how clouds form, how thunderstorms work, how air and ocean currents flow, how ice sheets behave, how soot in the air behaves. In truth, we do not understand climate enough to make even an uneducated guess about how much global warming our adding CO2 to the air will cause. Other things being equal, we will cause some warming, but – on measurements to date – not much. The national science academies and the UN’s climate panel have profitably contrived what the late Stephen Schneider called “scary scenarios” on the basis of inadequate knowledge. Etatiste politicians and bureaucrats have gone along with them. A quarter of a century has passed since the panel first predicted how fast the world would warm. Measurements since then show the predictions were much overblown. But don’t take it from us. Ask any climatologist the following ten killer questions. 1: Where has the warming that the surface thermometer datasets now say has occurred in the past 18 years come from? The official theory is that photons interacting with CO2 molecules in the upper air give off heat that warms that air, which warms the lower air, which warms the surface. Yet the two satellite datasets show no global warming of the lower air for almost 19 of the 21 years of annual UN global-warming conferences. Even if CO2 had warmed the upper air as predicted (and the satellites show it has not), that warming could not have reached the surface through lower air that has not warmed. If the surface has warmed in the past couple of decades, as the surface datasets now pretend, CO2 cannot have been the cause. In 2006 the late Professor Robert Carter, a down-to-earth geologist who considered global warming a non-problem, wrote in the Daily Telegraph that in eight full years (1998-2005), the Hadley Centre’s global temperature dataset showed no global warming at all. Yet that dataset, which, like all the surface datasets, was recently adjusted to deliver the global warming that measurements did not show, now indicates a warming trend over those same eight years at a rate equivalent to more than 1.5 degrees/century. 2: Why, two years ago, did every surface temperature dataset agree with the satellites that there had been no global warming this millennium, and why, though the two satellites continue to show little or no warming, was every surface dataset altered in the two years preceding the Paris climate conference in a manner calculated to show significant warming? 3: Why do all the datasets, surface as well as satellite, show a lot less warming than predicted? Why, even after the numerous questionable adjustments to the surface temperature datasets, has the rate of warming over the past quarter of a century been only one-third to one-half of the central prediction made by the UN’s climate panel in its 1990 First Assessment Report? 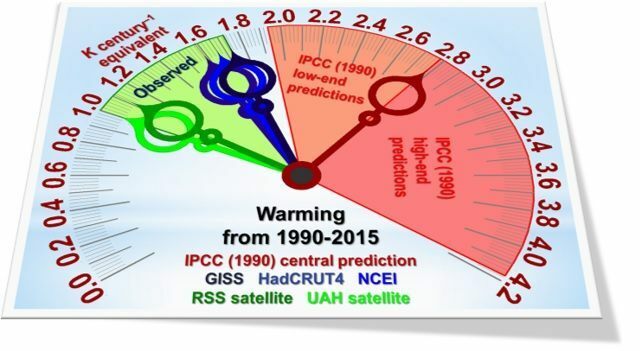 The startling temperature clock shows the UN panel’s 1990 predictions as orange and red zones meeting at the red needle representing its then central prediction that by now there should have been global warming equivalent to 2.8 degrees/century. 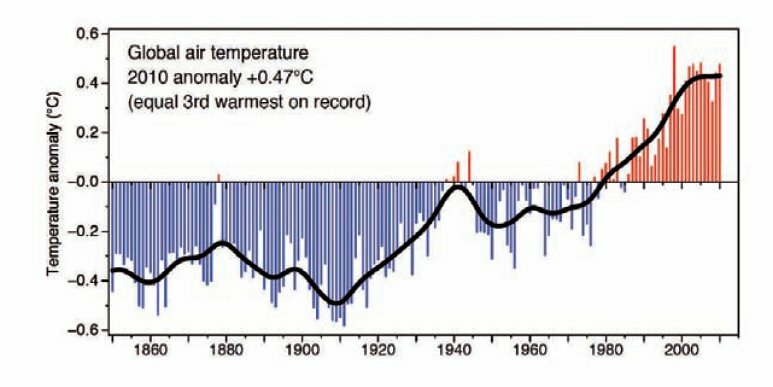 But the blue needles, representing the warming reported by the three much-altered surface tamperature datasets, show little more than half that warming. The green needles, representing the satellite datasets, show only a third of what the UN had predicted with “substantial confidence” in 1990. 4: Why is the gap between official over-prediction and observed reality getting wider? 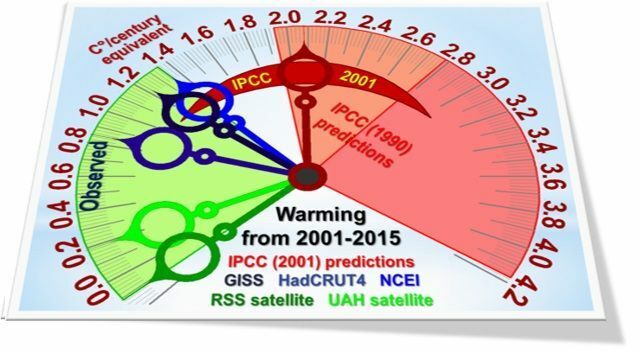 An updated temperature clock shows the warming the UN’s panel predicted in its 2001 Third Assessment Report, compared with measured warming from then till 2015. The measured warming rate, represented by the green zone, is manifestly less than the warming rate since 1990, even though CO2 concentration has risen throughout. 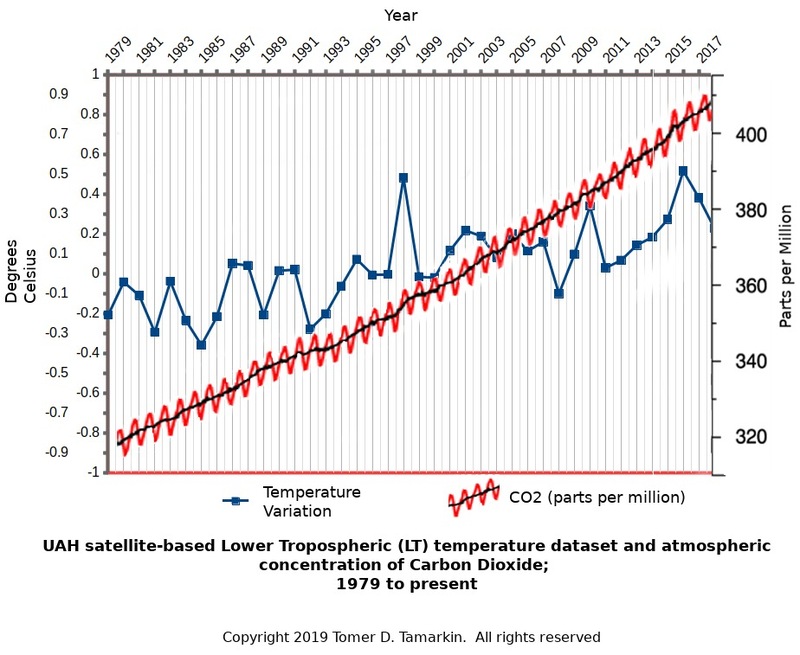 5: Why is the gap between warming rates measured by satellite and surface datasets widening? It is legitimate to infer that the surface datasets have been altered to try to bring the reported warming closer to the failed but (for now) still profitable predictions. 6: Why should anyone invest trillions on the basis of official predictions in 1990 and in 2001 that differ so greatly? Plainly, this is not the “settled science” we were told it was. 7: Why has the observed rate of warming, on all datasets, been tumbling for decades notwithstanding predictions that it would at least remain stable? One-third of all Man’s supposed warming influence on climate since 1750 has occurred since the late 1990s, yet satellites show scarce a flicker of global warming in close to 19 years. And the rate of warming from 1950 to the present is lower than the rate from 1950 to any previous year in the past half-century. Not only the amount but also the pattern of warming fails to match predictions. To the nearest tenth of one per cent, there is no CO2 in the air. Yet the UN’s panel said in 2007 that CO2 would warm the upper air 6 miles above the tropical surface at twice or thrice the surface rate. That tropical mid-troposphere “hot-spot” (one of us gave it its name) was, we were told, the undeniable fingerprint of manmade global warming. The existence of the hot-spot would prove manmade warming. 8: So, where is the missing tropical upper-air hot-spot? Satellites do not show it. Millions of measurements taken by balloon-borne radiosondes do not show it. Why, if warming is manmade, has there been very little difference between measured surface and upper-air warming rates for decades? Just as it is officially predicted that CO2-driven warming will be greatest in the upper air, which will in turn warm the surface, so it is predicted that the near-surface air will warm the ocean surface, which will warm the deeps. Yet measurements from more than 3600 automated buoys throughout the ocean that dive down a mile and a quarter and take detailed temperature and salinity profiles every ten days show that the deeper strata are warming faster than the near-surface strata. 9: Why, if CO2-driven warming ought to warm the surface ocean first, is the ocean warming from below? And why has the ocean been warming throughout the 11 full years of the ARGO dataset at a rate equivalent to only 1 degree every 430 years? As Hal Doiron, a NASA thermal engineer, bluntly puts it: “When I look at the ocean I see one of the largest heat-sinks in the solar system. While the ocean endures there can’t be much manmade global warming.” And he had to get his heat calculations right or astronauts died. Believers have silenced serious and legitimate scientific questions such as these by an organized, well-funded and remarkably vicious campaign of personal vilification against anyone who dares to ask any question, however polite or justifiable, about the Party Line. 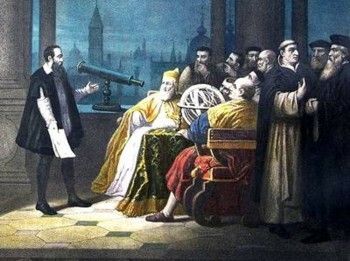 Most scientists, politicians and journalists have learned that they will have a quieter life if they just drift along with what most scientists privately concede is sheer exaggeration. 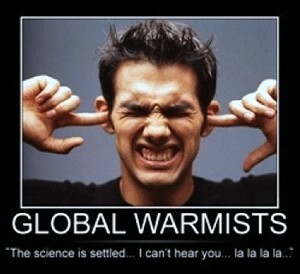 Believers also insist there is a “consensus” that manmade global warming is likely to prove dangerous. 10: Given that the authors of the largest ever survey of peer-reviewed opinion in learned papers marked only 64 of 11,944 papers, or 0.5%, as stating they agreed with the official “consensus” proposition that recent warming was mostly manmade, on what rational, evidence-based, scientific ground is it daily asserted that “97% of scientists” believe recent global warming is not only manmade but dangerous? Millions die worldwide every year because they do not have cheap, clean, continuous, low-tech, coal-fired power. Given the growing and now flagrant discrepancies between prediction and observation that we have revealed here for the first time, the moral case for defunding the profiteers of climate doom and redeploying the money to give coal-fired light and heat to the world’s poorest people is overwhelming. We are killing millions today with the scientifically baseless aim of saving thousands who are not at risk the day after tomorrow. A lake the size of Los Angeles has dried up into a desert in Bolivia as a result of climate change and industry, according to scientists. The shocking aerial photos taken by NASA's Earth Observatory show a dusty plain where the mountainous saline lake used to lie. Scorching temperatures, an extended drought and the diversion of water for mining and agriculture has left the once 3,000sq km bone dry. The government has declared the area a 'disaster zone,' but many say not enough has been done to make the area sustainable again. Hundreds, if not thousands, of people have lost their livelihoods and left the area after Lake Poopo dried up in a development scientists have warned is the stark reality of climate change. 'We have no lake. There were flamingos. But after the first few days of December, we are not surprised the lake has dried up,' Valerio Calle Rojas, a fishermen from the Untavi community. Local scientists say the water has evaporated three times as fast between rainfalls. 'Lake Poopo has been tracked for about 60 years and there has been evidence that climate change has had an effect in the last decade, from the 90's in the 20th Century. The temperature has gone up 0.9 degrees Celsius,' said Milton Perez, a professor at the Oruro Technical University told Reuters. The lake dried up before in 1994, and researchers said it took several years for the water to return and the ecosystem to recover. The lake used to go through drastic changes every eight years as a result of regulated climatic changes, but because of global warming it changes every three years. High on Bolivia's plains at 12,000ft and long subject to climatic whims, the shallow saline lake has essentially dried up before only to rebound to twice the area of Los Angeles. As Andean glaciers disappear, so do the sources of Poopo's water. But other factors are in play in the demise of Bolivia's second-largest body of water behind Lake Titicaca. Drought caused by the recurrent El Nino meteorological phenomenon is considered the main driver. Authorities say another factor is the diversion of water from Poopo's tributaries, mostly for mining but also for agriculture. More than 100 families have sold their sheep, llamas and alpaca, set aside their fishing nets and quit the former lakeside village of Untavi over the past three years, draining it of well over half its population. Only the elderly remain. 'There's no future here,' said 29-year-old Juvenal Gutierrez, who moved to a nearby town where he ekes by as a motorcycle taxi driver. Record-keeping on the lake's history only goes back a century, and there is no good tally of the people displaced by its disappearance. At least 3,250 people have received humanitarian aid, the governor's office says. Poopo is now down to 2 per cent of its former water level, regional Governor Victor Hugo Vasquez calculates. Its maximum depth once reached 16ft. Field biologists say 75 species of birds are gone from the lake. While Poopo has suffered El Nino-fueled droughts for millennia, its fragile ecosystem has experienced unprecedented stress in the past three decades. Temperatures have risen by about 1 degree celsius while mining activity has pinched the flow of tributaries, increasing sediment. State attorneys general called on all states Wednesday to cease all activity on meeting the goals of President Obama’s far-reaching climate rules for power plants, given Tuesday night’s decision by the Supreme Court to stay the regulations. West Virginia Attorney General Patrick Morrisey, who is leading 29 states in a fight against the regulations, said on a call with reporters that the decision by the Supreme Court’s five conservative justices was “historic,” freezing Obama’s “illegal Clean Power Plan” and lifting all obligations to meet their deadlines until a federal appeals court makes a decision on the merits later this year. “Don’t let them [the administration] spin out of this, this is a very significant win,” he said. The Clean Power Plan is the centerpiece of the president’s agenda to fight climate change. The plan requires states to cut their greenhouse gas emissions a third by 2030, which the 29 states argue is an unconstitutional imposition of the federal government on states. The White House said Tuesday night that it will continue to work with states on compliance, downplaying the court’s decision as procedural. Morrisey said all states, even those that support the administration’s plan, are obligated under the court’s decision to stop all activity related to complying with the plan’s goals. The Environmental Protection Agency requires states to begin filing plans on meeting the plan’s goals, or ask for extensions, beginning in September. A number of state utility and environmental regulators, with governor-appointed energy officials, were in Washington to hold a two-day meeting on Clean Power Plan compliance when the decision came down from the court. Morrisey said it is a waste of state resources for them to continue their planning with a stay in place. 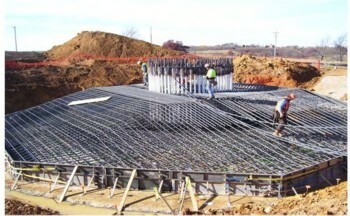 “States and utilities are not required to prepare a plan,” Morrisey said. 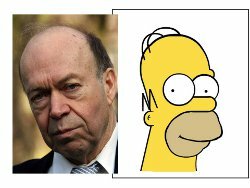 He added that the need to change state laws and energy portfolios to comply with the emission regulation “are stayed as well.” The court’s decision says “put down your pencils because EPA has no authority,” he said. EPA Administrator Gina McCarthy is slated to address the regulators Thursday. Morrisey told reporters on the call that the court’s decision gives states the confidence they will prevail on the merits of their case in the D.C. Circuit Court of Appeals, which is scheduled to hear the case in June. He said the justices would have never halted the rule if they didn’t believe the chances are high the states will win on the strength of their arguments. In his final budget, President Obama is seeking $750 million for the Green Climate Fund – part of a $3 billion commitment which Republican lawmakers earlier vowed to block unless the U.N. climate agreement reached in Paris last December was submitted to the Senate for ratification. But when Congress passed a $1.1 trillion spending bill days after the Paris deal was struck, the package neither blocked nor included funding for the GCF. Among other things, this covers bilateral and multilateral climate finance funding, and funds to help countries develop and implement “low [greenhouse gas] emissions development strategies.” It will also support implementation of the U.N.’s Paris climate deal, and $13 million will go to the U.N.’s Intergovernmental Panel on Climate Change (IPCC). The $989.9 million sum includes $500 million for the Green Climate Fund (GCF), a global fund designed to help developing countries curb greenhouse gas emissions and cope with phenomena attributed to climate change, such as floods, drought and rising sea levels. A further $250 million for the GCF is included in the Department of Treasury budget, making a total of $750 million for the fund – an increase from $500 million in FY 2016. Obama in November 2014 pledged $3 billion for the GCF, an initiative that ultimately aims to raise $100 billion a year globally from public and private sources by 2020. The GCF has long been targeted by GOP lawmakers, and opposition built ahead of the Paris climate conference. A similar warning came in a letter signed by 110 members of the House of Representatives, addressed to the chairman and ranking member of the Appropriations Committee. A concurrent resolution was then introduced by Sen. Mike Lee (R-Utah), and co-sponsored by 33 other Republicans, linking funding for climate change initiatives including the GCF to Senate advice and consent of the Paris deal. The administration maintains that the agreement forged in Paris does not require additional Senate advise and consent. Nonetheless, the omnibus spending bill passed in December did not include a provision prohibiting funding for the GCF, an omission that drew criticism from Heritage Foundation experts and prompted climate activists to declare a win. “This is a rebuke to those congressional extremists who tried to play politics with desperately needed money to help the world’s poor take climate action,” said Karen Orenstein of Friends of the Earth in response to the absence of language blocking GCF funding. CSIRO chief Larry Marshall has apologised for describing the emotion of the climate debate as almost "more religion than science". Dr Marshall had told the ABC the backlash from his decision to restructure the organisation made him feel like an "early climate scientist in the '70s fighting against the oil lobby" and that there was so much emotion in the debate it almost "sounded more like religion than science". He also said he would not be backing down on his controversial shakeup of the organisation's climate divisions, telling the ABC he was yet to be persuaded.At Senate estimates this afternoon he backed away from those comments. "I'd like to apologise for any offence I may have caused to anyone with respect to my reference to religion," Dr Marshall said. "I was merely referring to the passionate zeal around this issue, not any other reference, and I deeply apologise." The redirection of climate science priorities at the CSIRO has drawn international condemnation, with thousands of climate scientists signing an open letter protesting against the changes. The Oceans and Atmosphere division is expected to be one of the hardest hit, with 60 positions to go through a mix of redeployment and redundancies.All up, 350 jobs will "change" - a plan that has drawn the ire of an Intergovernmental Panel on Climate Change co-chair and even the World Meteorological Organisation which has made an unprecedented statement condemning the decision. During the Senate estimates hearing Dr Marshall was quizzed about the backlash and was asked if he thought the international scientists were wrong. 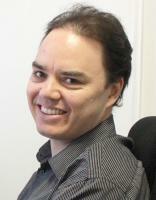 "We're not saying that modelling and measurement are not important. We're saying that modelling and measuring isn't more important than mitigation and we've chosen to shift our emphasis to mitigation," he said.